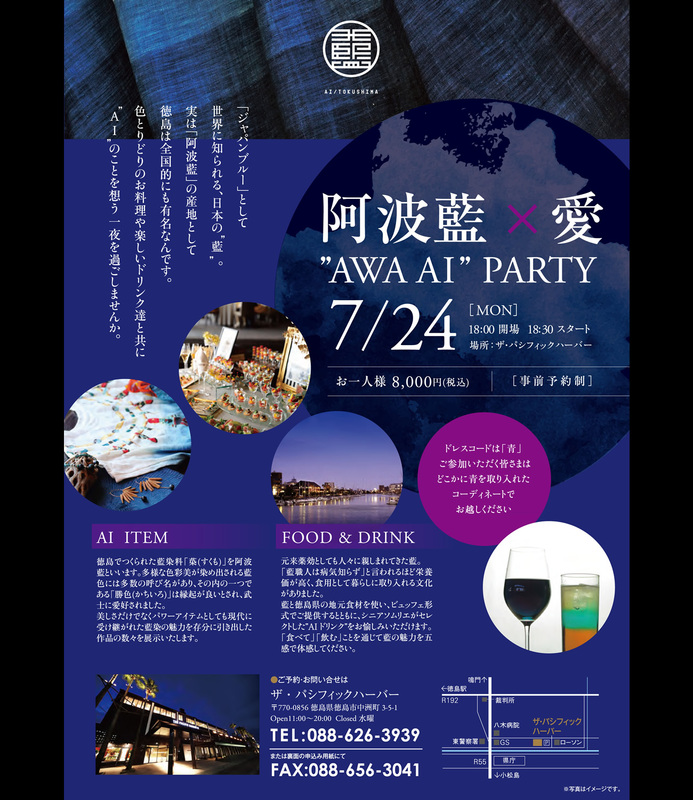 “Awa Ai Party” will be held on July 24th, “Day of Indigo,” at the bridal site “The Pacific Harbor” in Tokushima. ISSO will display our artwork. – Displaying some indigo dyed artworks, and selling products. As its dress code, participants should wear/ have something blue, so each can enjoy seeing the scene with blue in good mood. If you are curious to join it, you have to make a reservation, so please contact to TOKIWA at 088-626-3939.